When we vacation in Arizona, my husband plays golf and I paint. 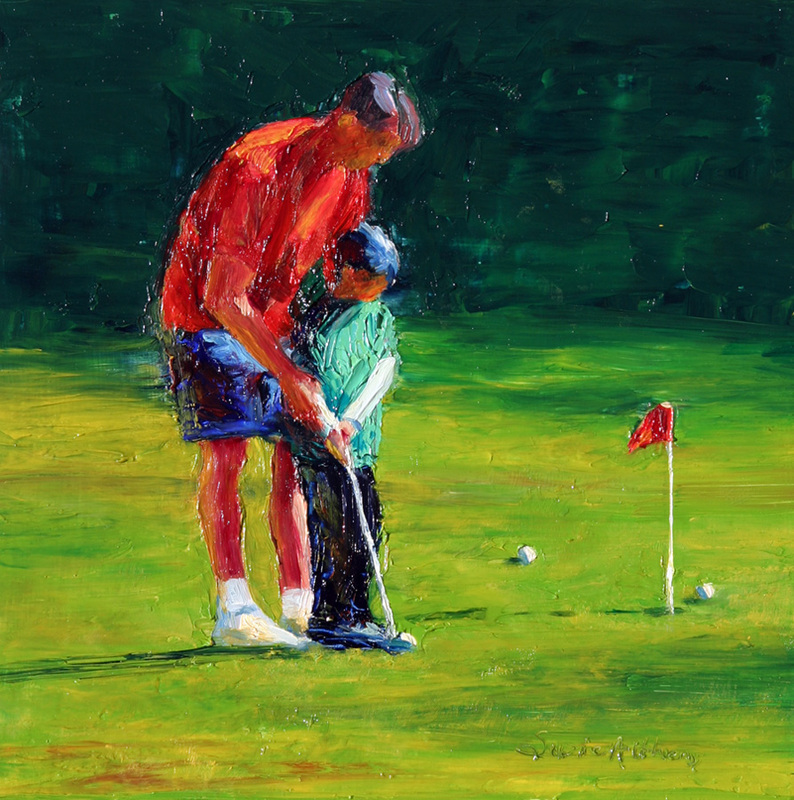 Usually I drop him off at a course and I go find a place to paint. One morning the sun was sparkling on the grass and the players. It caught my attention, but the reason for painting this is the relationship between this man and the boy. It has a sparkle all its own.